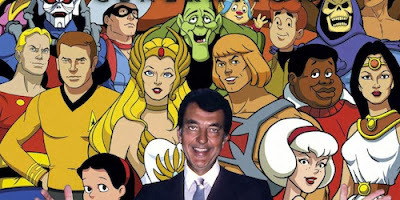 The press is now reporting the passing of Lou Scheimer, co-founder of Filmation Studios with Norm Prescott. I had the pleasure of interviewing Mr. Scheimer over a decade ago while researching a Cinescape article about Star Trek: The Animated Series. He had a great sense of humor about his career, and spoke with tremendous passion and energy regarding his life's work. Beyond his personal exuberance and kindness, many of Mr. Scheimer's TV programs proved a foundation and crucial part of my youth. Today, my DVD collection is filled with Filmation productions of the 1960s and 1970s, and I've blogged many of those enterprises here. These shows are unforgettable. 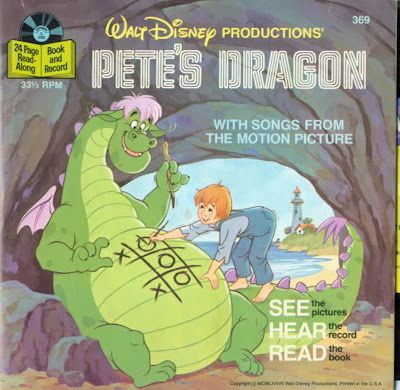 A Grammy and Emmy Award winning producer, Mr. Scheimer produced such animated Saturday morning fare as Journey to the Center of the Earth (1967), Fantastic Voyage (1969), Star Trek: The Animated Series (1973-1974), Flash Gordon (1978-80), He Man and the Masters of the Universe (1978-1980), and BraveStar (1988-1989). Mr. Scheimer was also responsible for bringing Aquaman, Superman, The Lone Ranger, Batman, Tarzan and other superheroes to animation from the 1960s through the early 1980s. He produced several live-action genre programs too, including Shazam! (1974), The Secrets of Isis (1975), Ark II (1976), Space Academy (1977) and Jason of Star Command (1979). The production values on these programs (particularly Space Academy and Jason of Star Command) were astonishing for Saturday morning TV in the 1970s, and Mr. Scheimer always made sure that kids got their money's worth. Filmation's cartoons and live action shows were such a major part of my childhood. Think it's time to dig out the Groovy Goolies and shed some tears. John extremely thoughtful and accurate tribute to Lou Scheimer. Like you, my boyhood in the '70s was filled with many happy memories of Saturday mornings of Filmation shows. His work has always brought wonderful entertainment value to us in both animated and live-action series. I couldn't agree more. The wonderful worlds of Filmation spurred my imagination, and continued some of my favorite franchises (like Star Trek) when there was no other way to see new episodes. I've already introduced my son Joel to Filmation's Superheroes, Filmation's Lone Ranger, and Filmation's Superman and Batman programs. He loves 'em....it's like they haven't aged a day. I was at the mall a little while ago and they were playing the Groovy Ghoulies on the screens at Suncoast Video. I'm now wondering if that was just because it was Halloween or did they do it as a tribute, or both.